The Spartan accepts the Interceptor soft armor, SAPI/ESAPI plates and Interceptor accessories (yoke assembly, groin and throat protection). The vest must match the size of armor and SAPI/ESAPI plates you are using. For example if you have size medium Interceptor armor and SAPI plates, you will need a size medium Spartan. 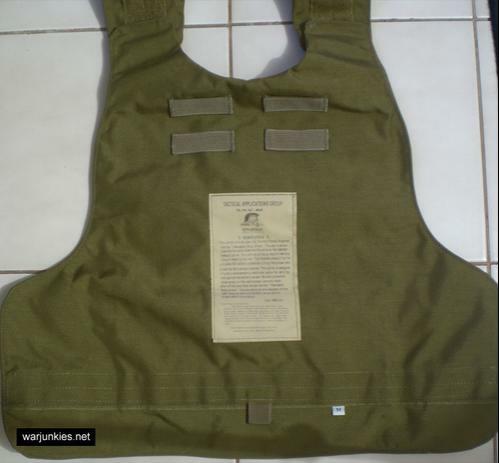 This vest is covered front and back with standard 1 inch MOLLE for mounting any types of MOLLE pockets or pouches anywhere on the vest. It is adjustable for height and width by adjusting the shoulder straps and the side closing straps. the vest closes on the sides with 2 fastex buckles.